Don't miss this amazing opportunity to own a one of a kind, top floor, end unit at Mainsail. This furnished, 2BR/2BA, 1, 340SF unit has been completely renovated with a unique opened floor plan. As you step into the unit you will be greeted by Bay & Gulf views. 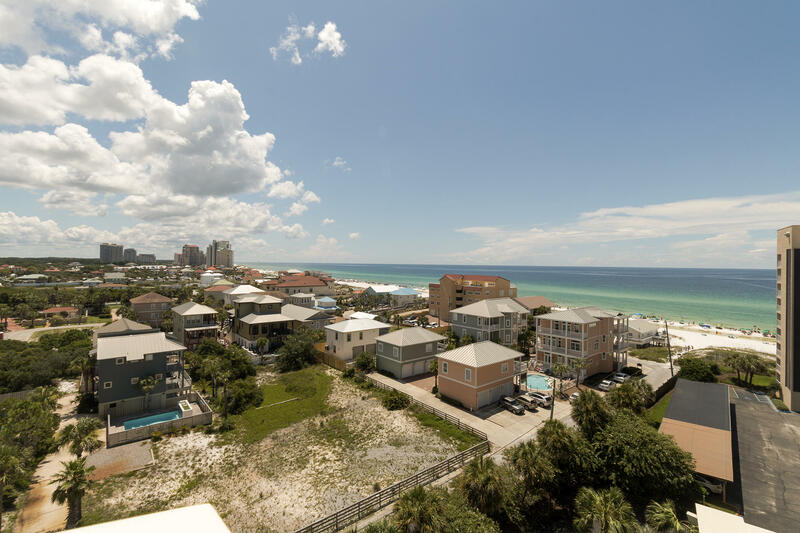 There are 2 large balconies, one that over looks the tennis courts and mainsail property and a gulf side balcony off the living & master bedroom. The kitchen has a open design with granite countertops, breakfast bar, kitchen island, and utility closet with washer/dryer. The living room has vaulted ceiling with access to both balconies and views of the Gulf & Bay. The master suite has amazing views, balcony access, large walk-in shower & plenty of closet space. Don't miss out of this a gorgeous unit. See you at the Beach!